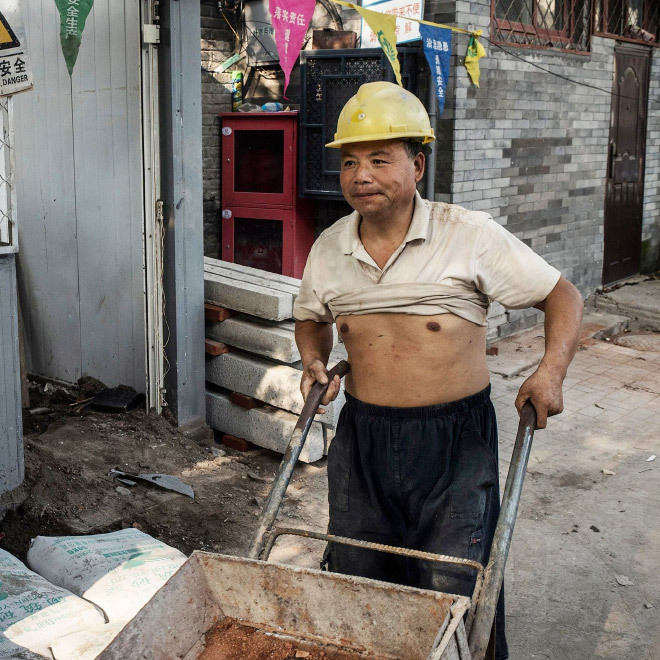 Why hasn’t Xi sent them to the gulags? 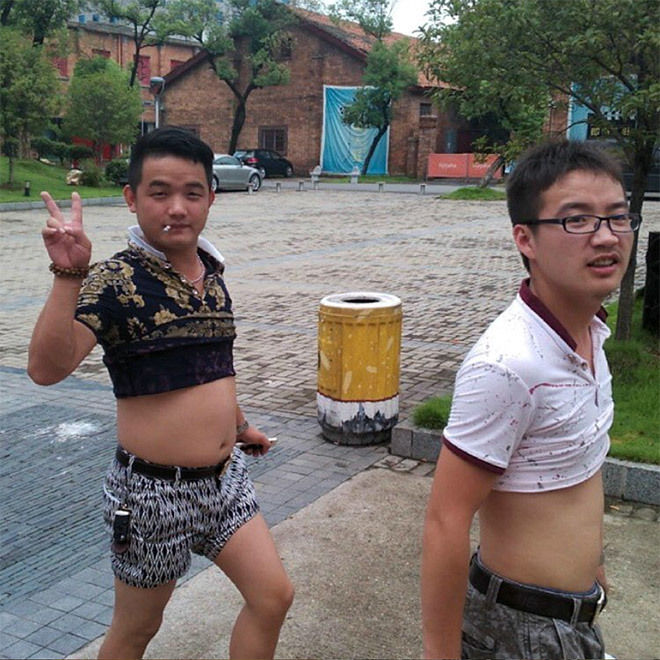 They look like Bernezualians escaping over the border to Columbia. 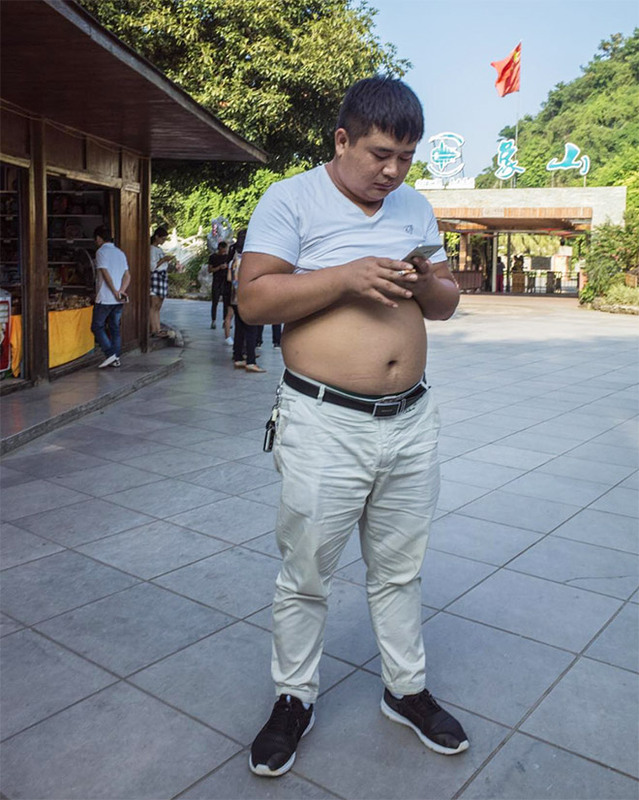 Why do Bernezualians always look fat from border cams? 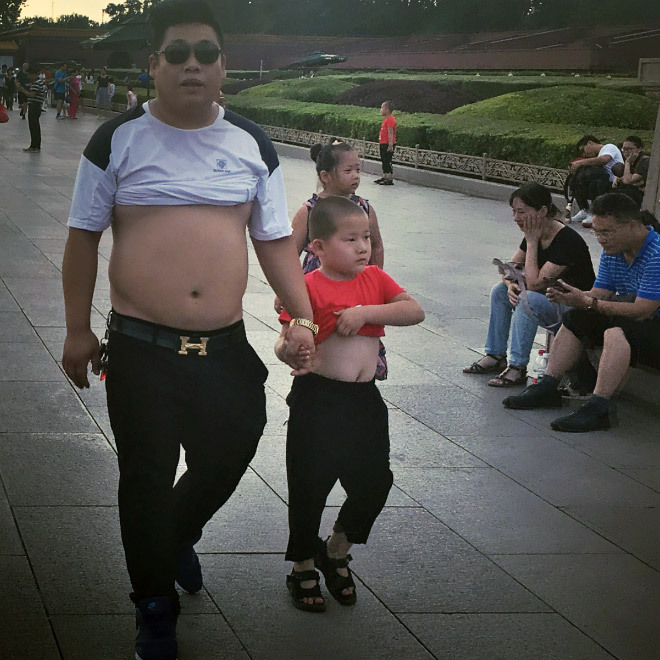 Why does chicom babe appear in frames 2,6,7,9,14. 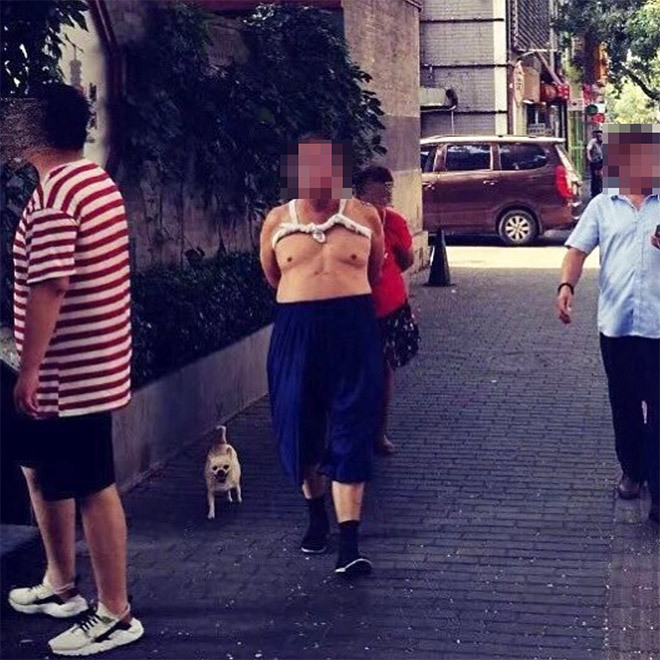 I’d call it a mankini. 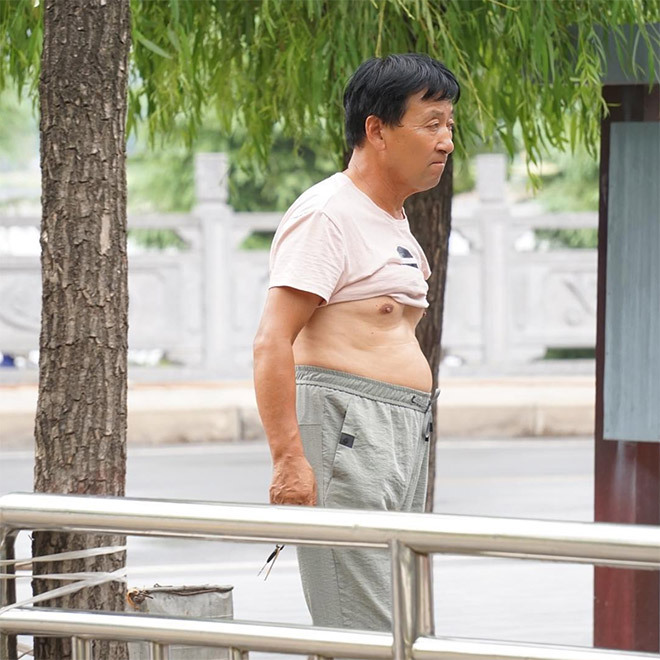 Last one is Jackie Chan. 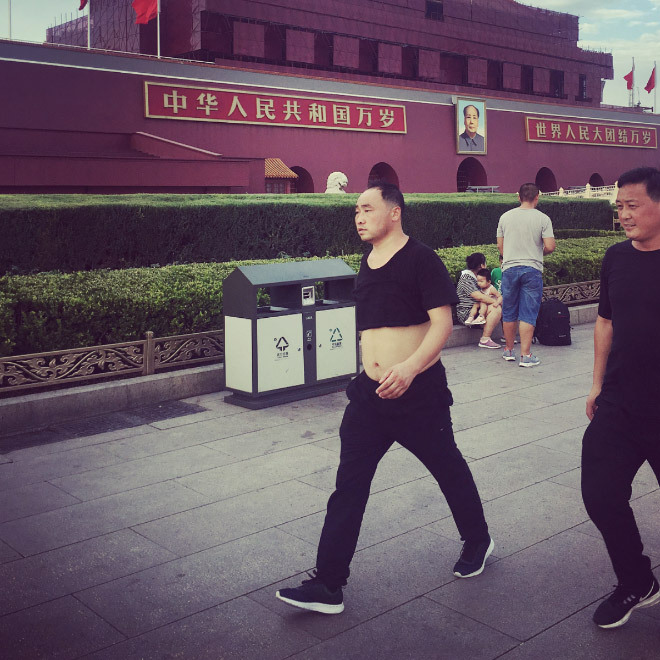 The male midriff, unless covered in a rippling “six-pack” should never be exposed in public. 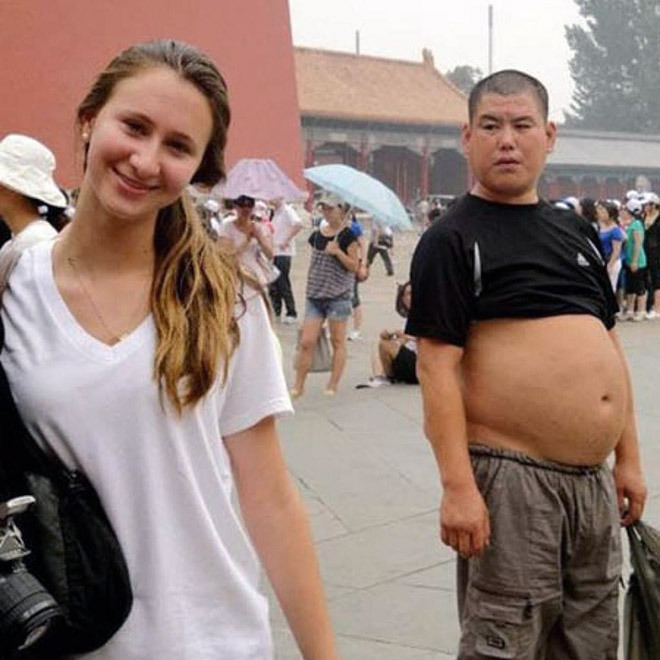 How gauche! 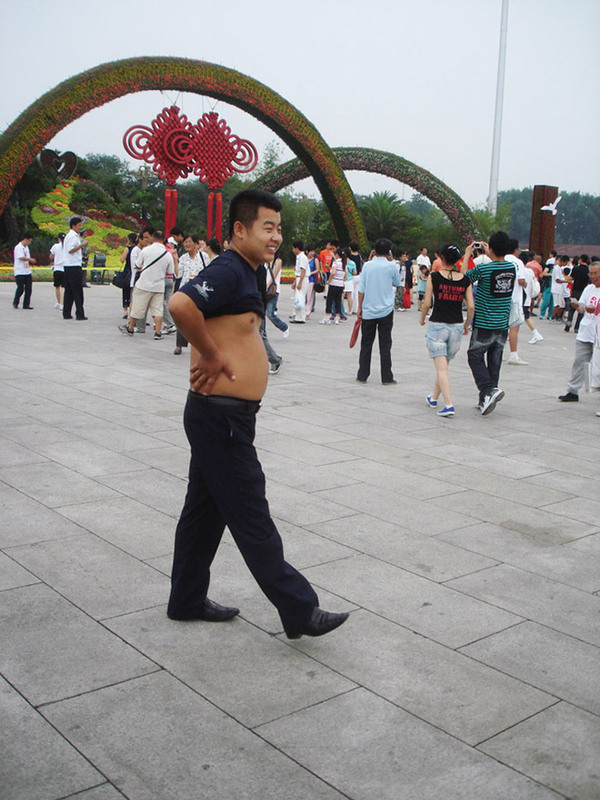 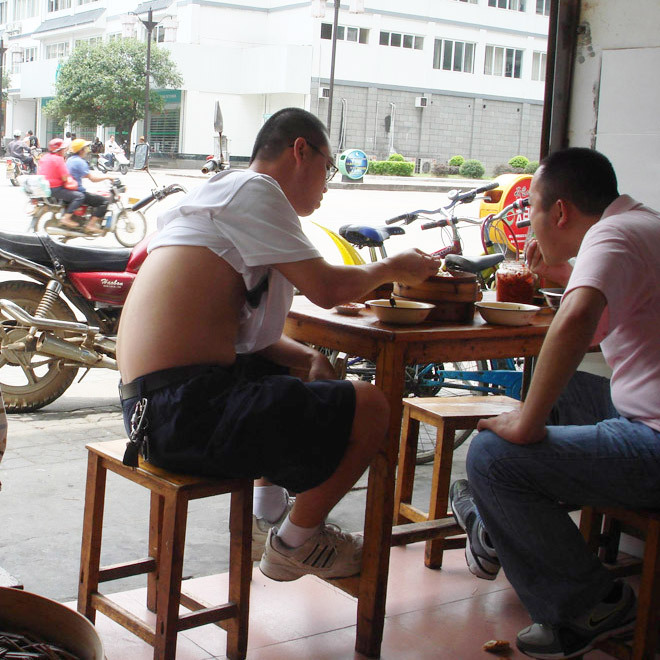 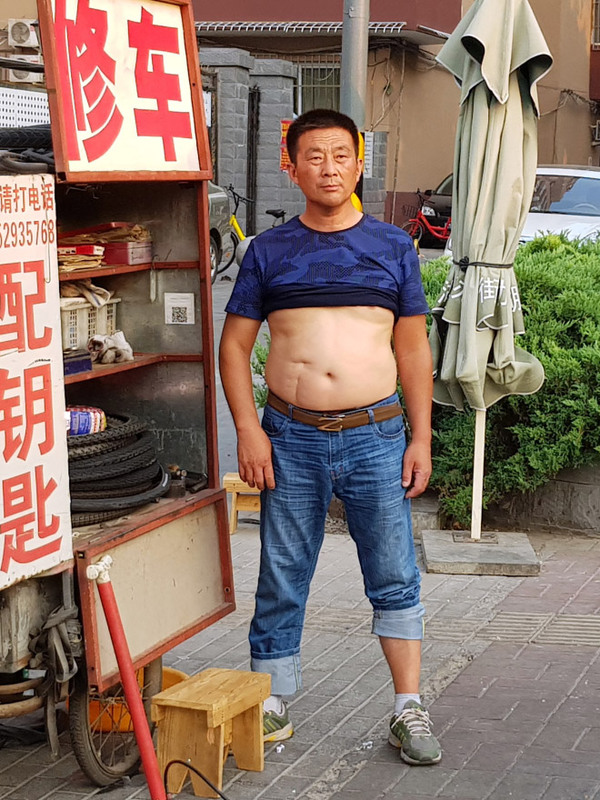 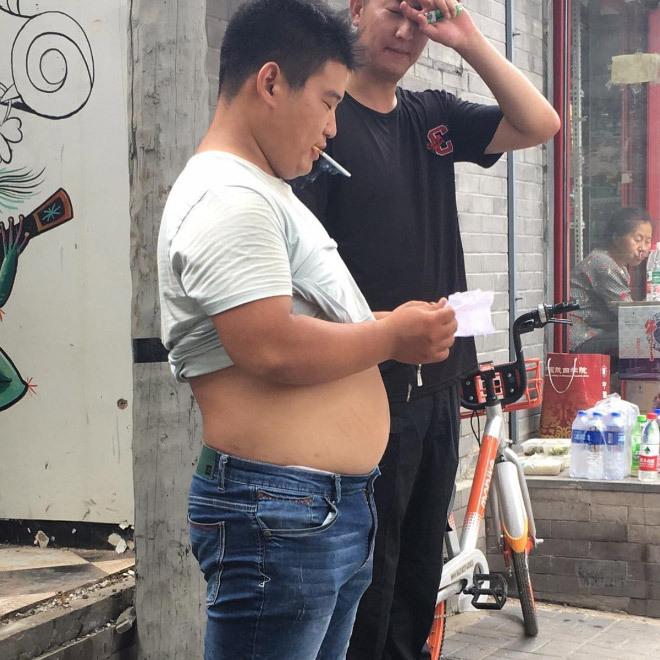 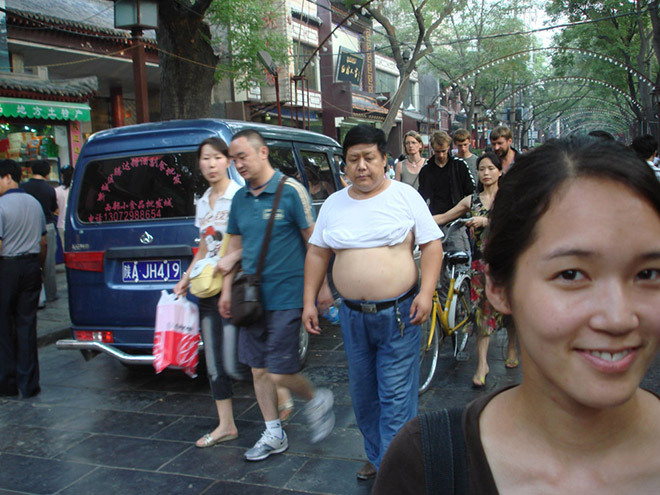 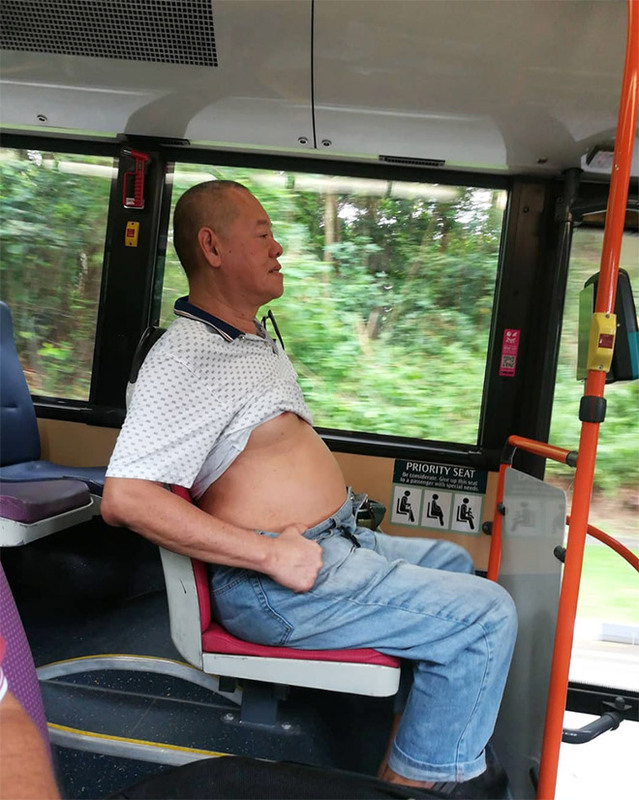 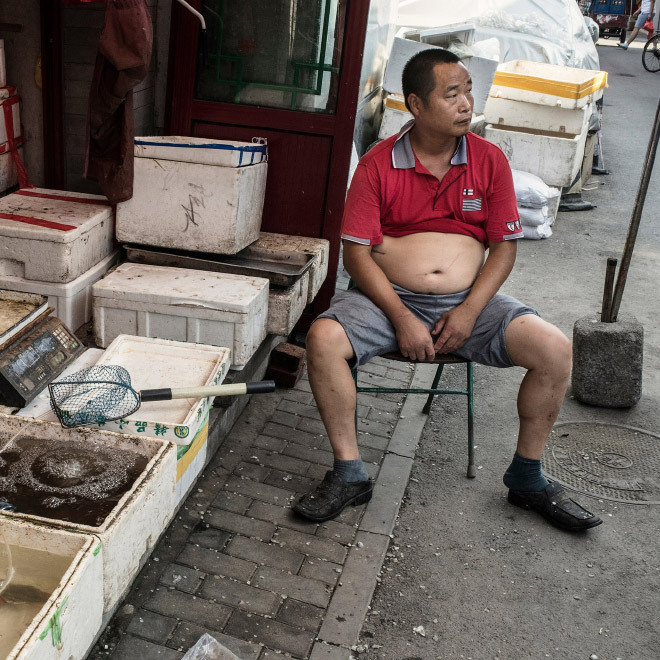 They used to just take their shirts off, but China banned it in order to clean up Beijing’s image for the 2008 Olympics, so the locals found a loophole in the law by just rolling up the lower half of the shirt.